Nothing evokes the public and personal perils of high-level corruption more powerfully than photos of the billionaire chairman of a corporate conglomerate being led to a prison bus in handcuffs. Or almost nothing. Images of his 95-year-old wheelchair-bound father, the founder of the conglomerate, leaving court two months earlier after being sentenced to four years in prison, were an even starker representation of a fall from grace. 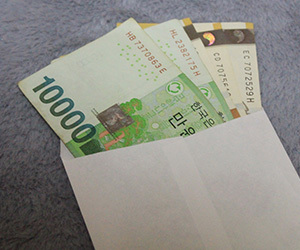 Corruption risk took center stage, and the outcome of the Lotte court case shows the dangers of ignoring anti-bribery and corruption compliance. Such extraordinary events have unfolded in South Korea in recent weeks as the culmination of embezzlement, breach of duty and bribery charges brought against the heads of the Lotte Group, the fifth-largest of the chaebol, the family-run conglomerates that have turned South Korea into the world’s 11th-largest economy. Lotte, founded in Tokyo in 1948 by Shin Kyuk-ho, is a sprawling operation ranging through confectionery, beverages, hotels, retail, financial services, chemicals, electronics, IT, construction, publishing and entertainment in South Korea, Japan, China, the United States, United Kingdom and many other countries. free stores. On the same day, the confidante and one of Park’s former senior aides received jail terms of 20 and six years respectively. Shin Kyuk-ho’s conviction came on December 22. He was found guilty of embezzling at least 128.6 billion won (US$119 million) to benefit his relatives. The court allowed him to remain free on health grounds pending an appeal. His son is also expected to appeal. While Lotte’s flagship unit has instructed its subsidiary heads to take a ‘business as usual’ approach, the effects of these events are expected to be multifaceted and far-reaching. Senior leadership of the group has been thrown into uncertainty. On February 23, when it was announced that Shin Dong-bin would retain his title of vice-chairman at a key Japanese holding company, but under Japanese law would have to relinquish his representative rights, stock prices at Lotte Group subsidiaries fell by up to 7 percent. For Lotte’s employees, Shin Dong-bin’s jailing came as a shock. At the time, the Winter Games were underway in Pyeongchang and arrangements had been made for their chairman to go to a nearby Lotte-owned resort after hearing the court’s verdict. In the lead-up to the games, Shin Dong-bin, who has been the head of the Korea Ski Association, was the only top chaebol chief to have carried the torch during the torch relay. The Lotte saga won’t have improved South Korea’s standing in Transparency International’s Corruption Perception Index. In 2017, it received a rating of 54 out of 100, ranking it 51st among the 180 countries in the index. By comparison with other countries in the Asia Pacific region, New Zealand rated 89 (ranked first in the world), Singapore 84, Australia 77 and Japan 73. In the even broader picture, the case highlights the importance of C-suite and board members setting the tone at the top to inspire and impress on employees the importance of regulatory compliance and doing ethical business. The impact that a tarnished reputation has on a company’s employee morale, shareholder/consumer opinion and international standing should never be underestimated.